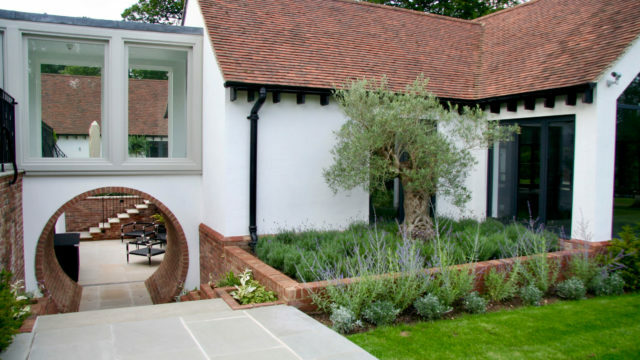 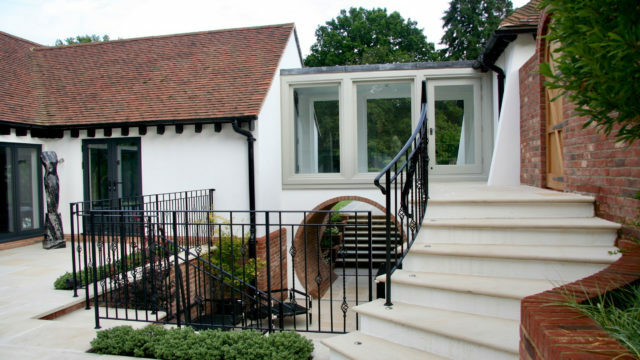 During this project, I worked closely for over 2 years with my clients, their architect and estate manager, and numerous contractors during the major renovation of a large Arts & Crafts property set within a country estate. 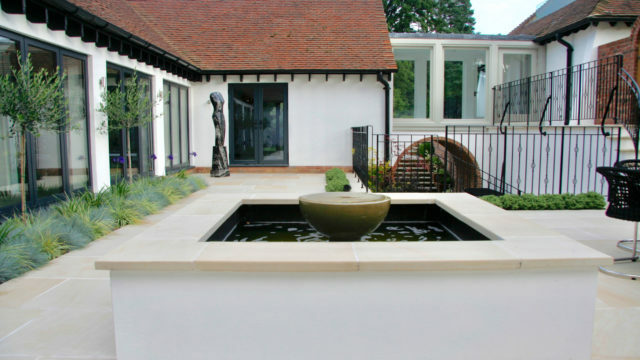 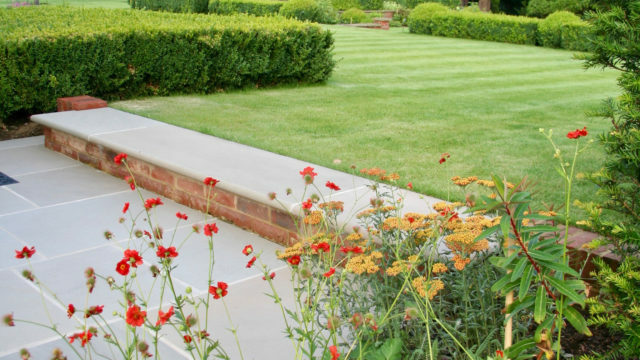 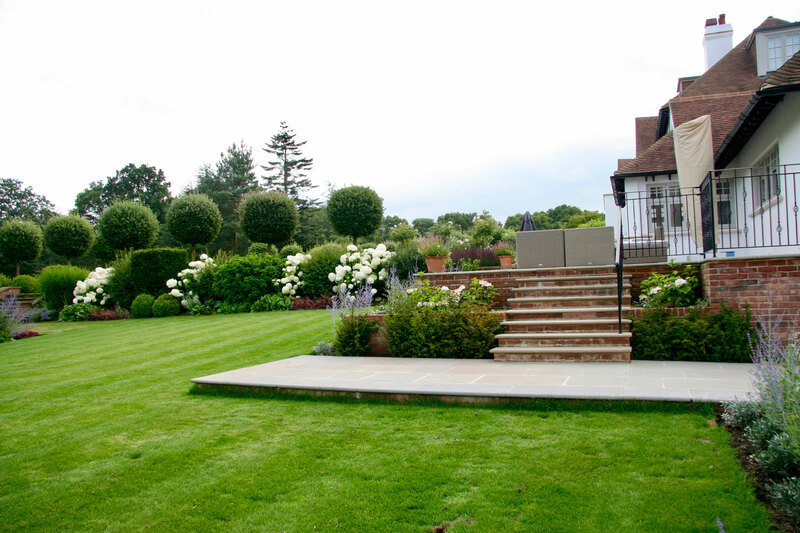 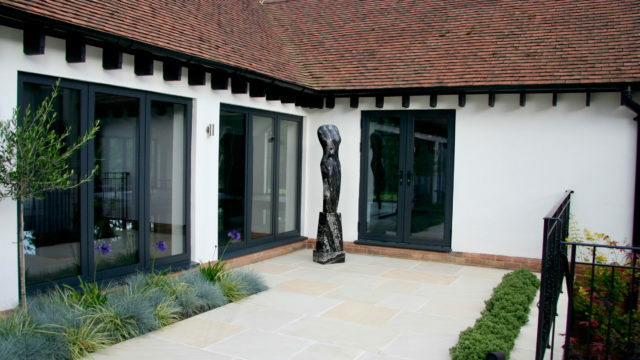 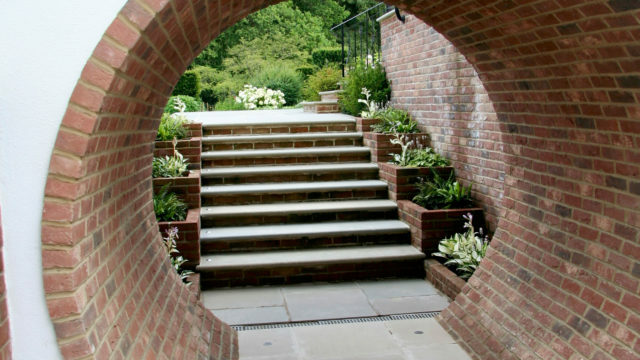 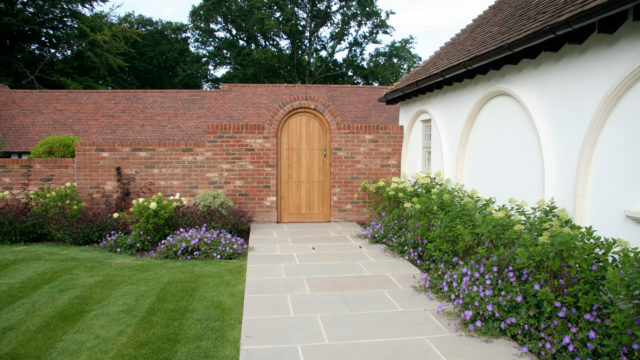 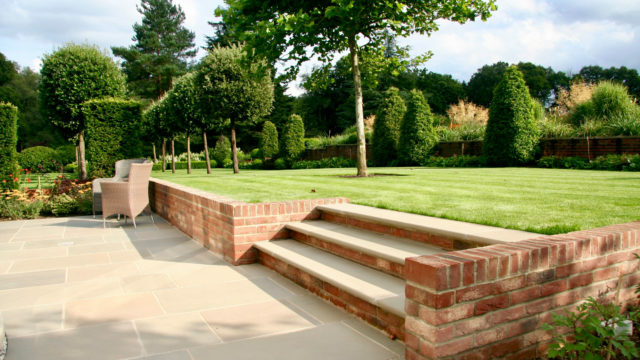 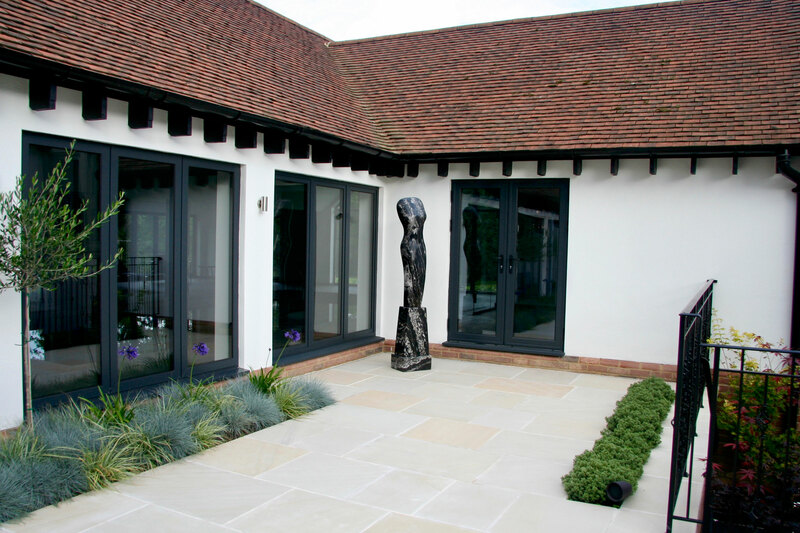 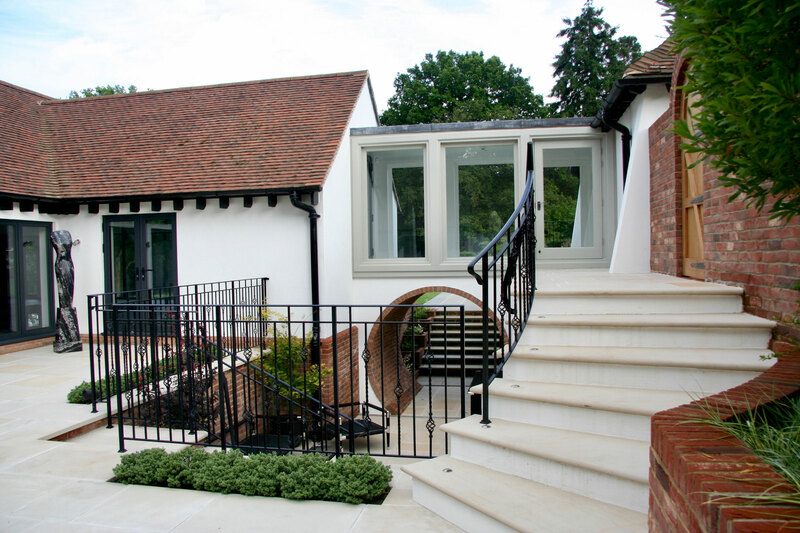 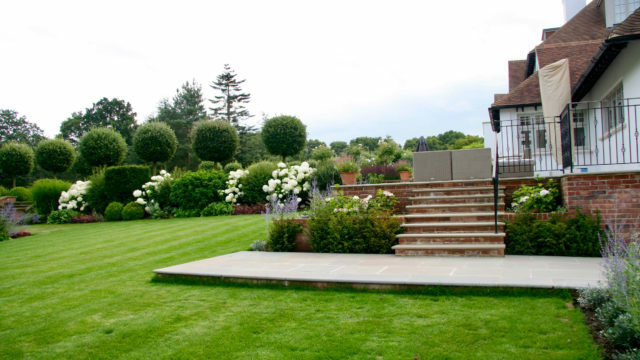 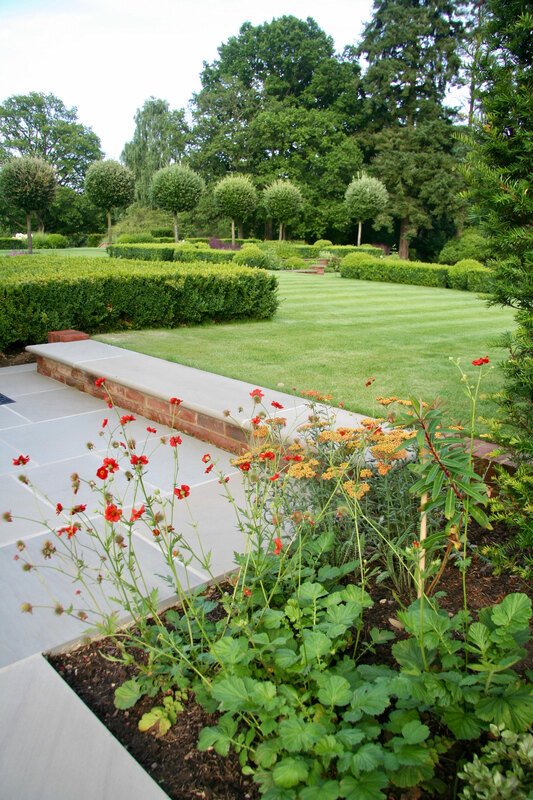 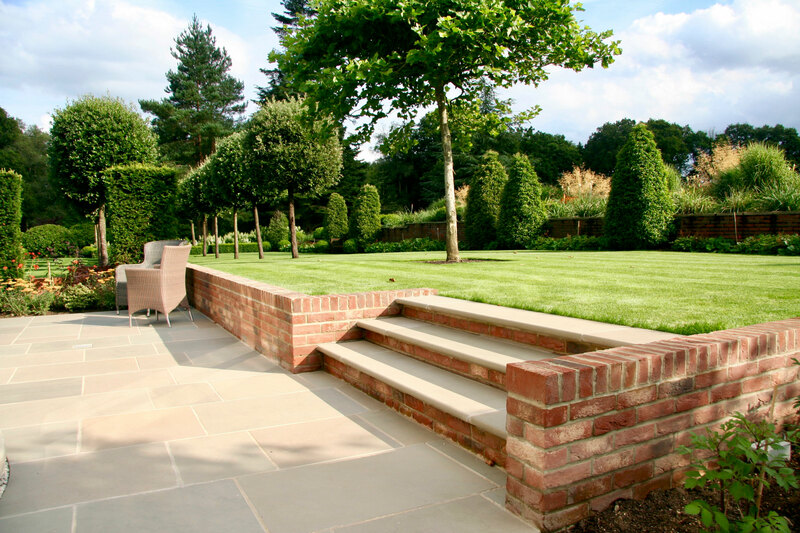 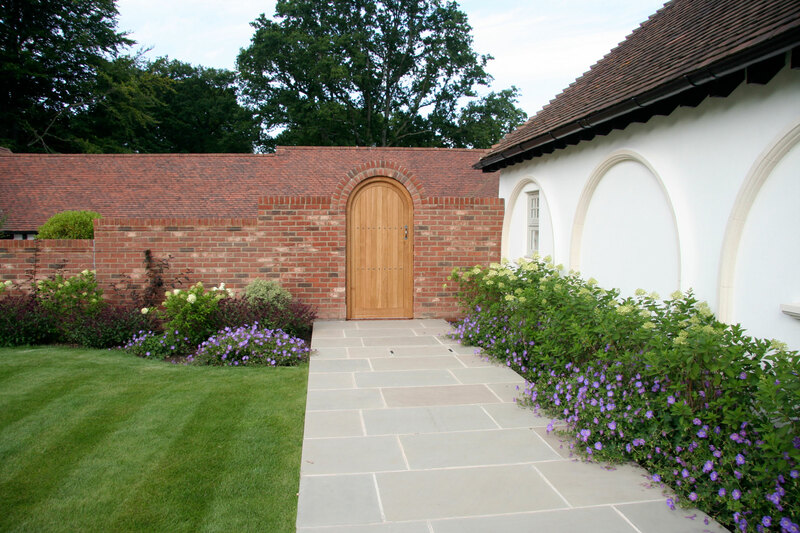 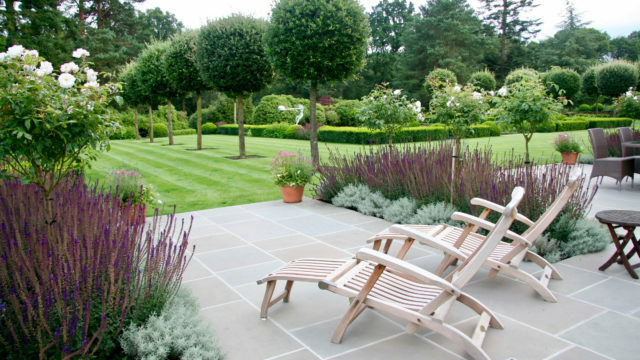 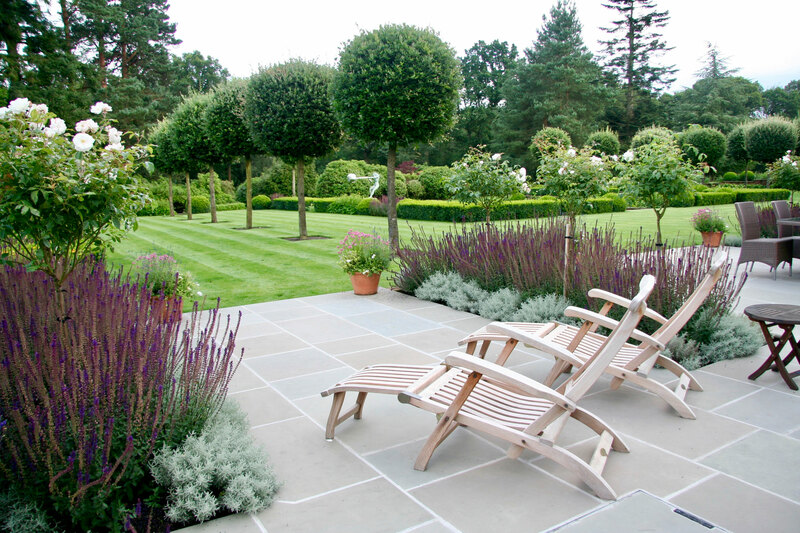 I was initially appointed to design a courtyard garden between the house and a new spa complex. 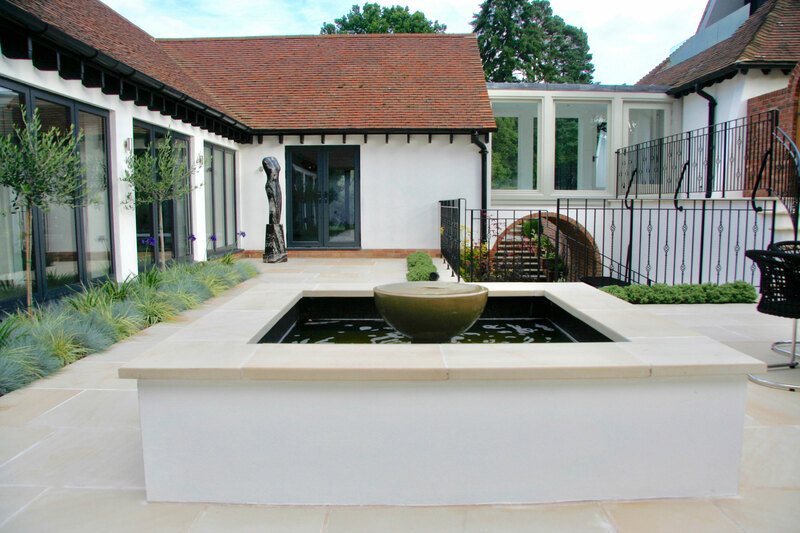 The courtyard was built on 3 levels, with an outdoor fireplace, a raised ornamental pool and spaces for sculpture. 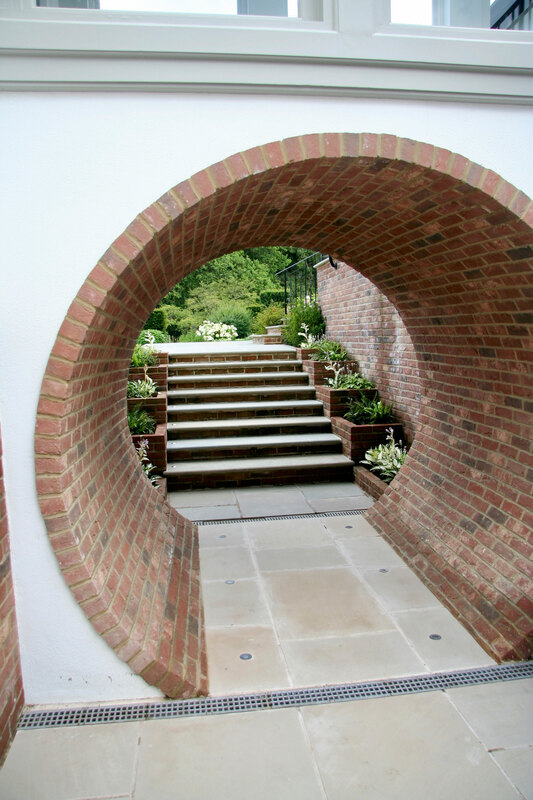 A tunnel built under a glazed link leads out to the wider estate landscape. 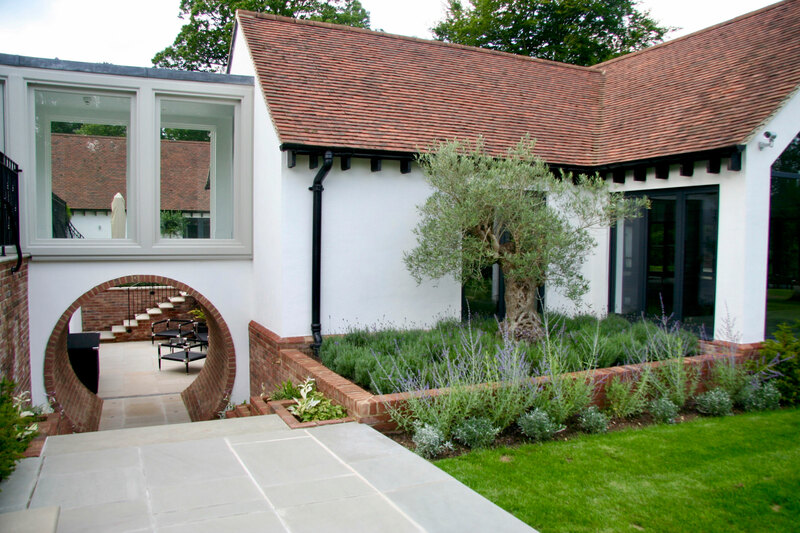 My role expanded to re-design all the areas directly around the house so that the new landscaping would blend seamlessly with the existing structure and layout of the established garden, but always taking into account my clients’ taste for simple, clean, contemporary design.